In 1999, the Binney monument, the only realized funerary sculpture by noted American sculptor Thomas Crawford ( c.1813-1857) was designated an “American Treasure” by the National Trust for Historic Preservation and the White House Millennium Committee chaired by Hillary Rodham Clinton. The monument serves as a landmark in the development of American commemorative sculpture and one of the most sophisticated and complex funerary monuments in America. 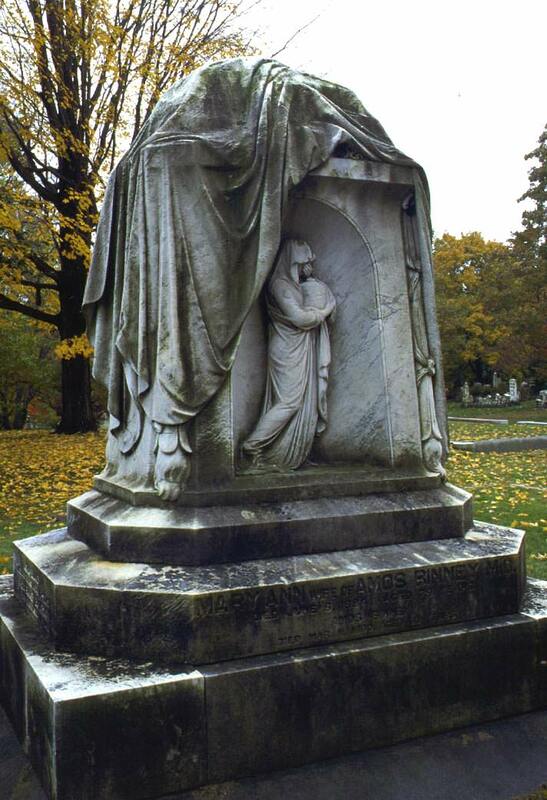 For this reason, Mount Auburn was awarded the Official Project Award to complete much needed preservation on the monument.